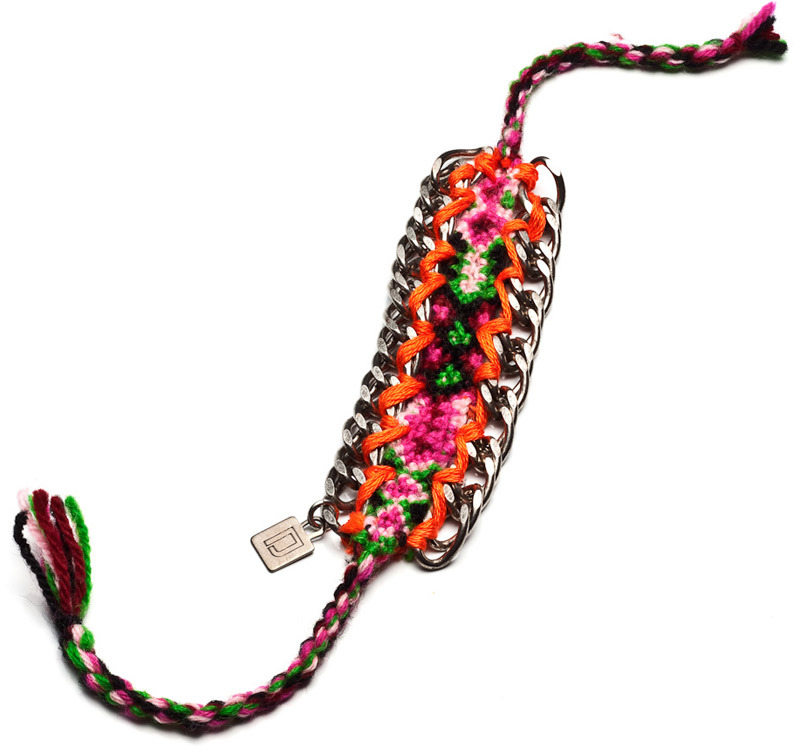 Loving these super fun brightly coloured chain link friendship bracelets from Dannijo, you can get them here. 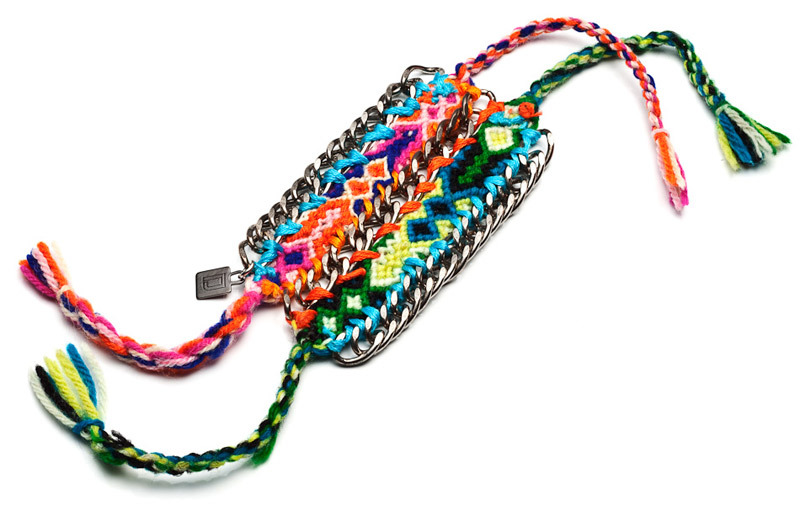 Friendship bracelets just got 100 times cooler! 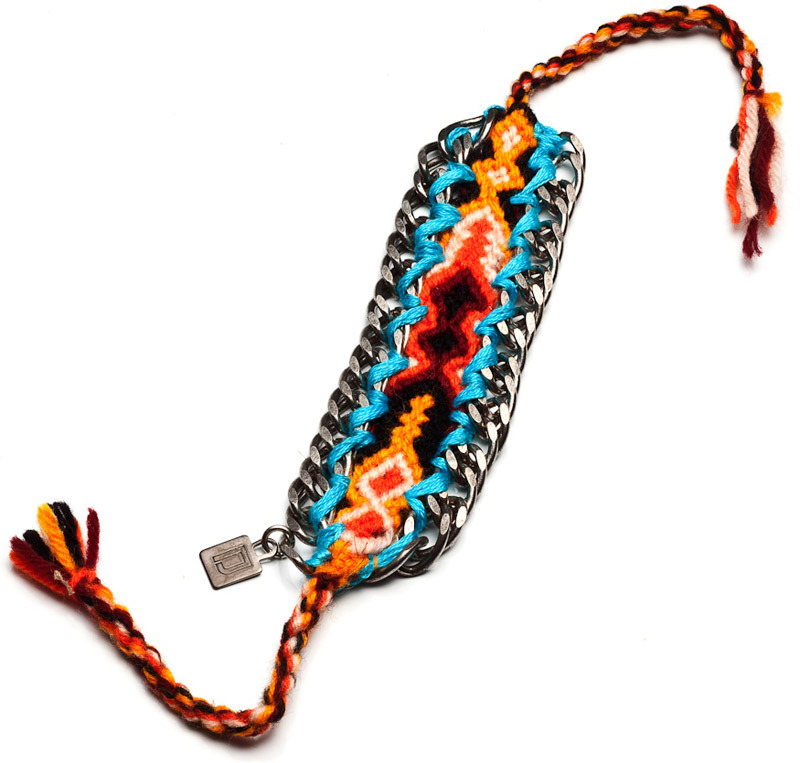 another awesome take on the mixed media friendship bracelet. this would look great w/ neon yarn. Wow. These are pretty fantastic! The chain links make it seem significantly cooler and less childish!